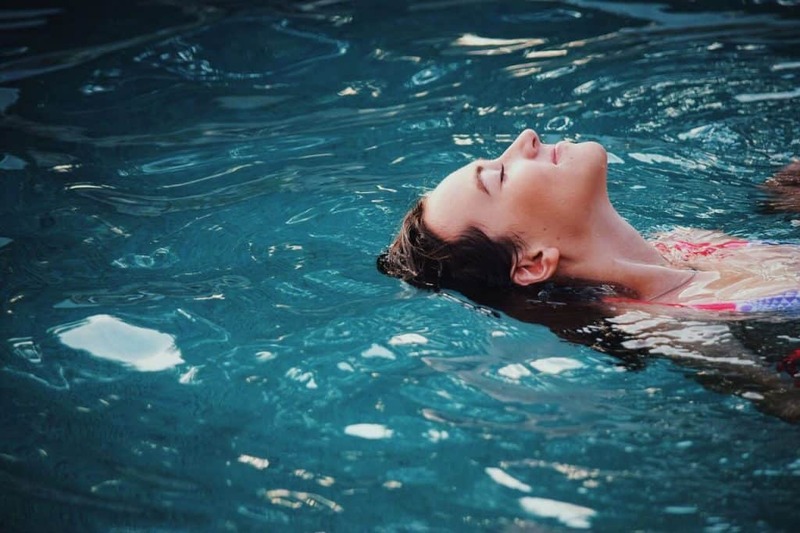 Some pools are indoors, but most are outdoor pools with hot tubs. 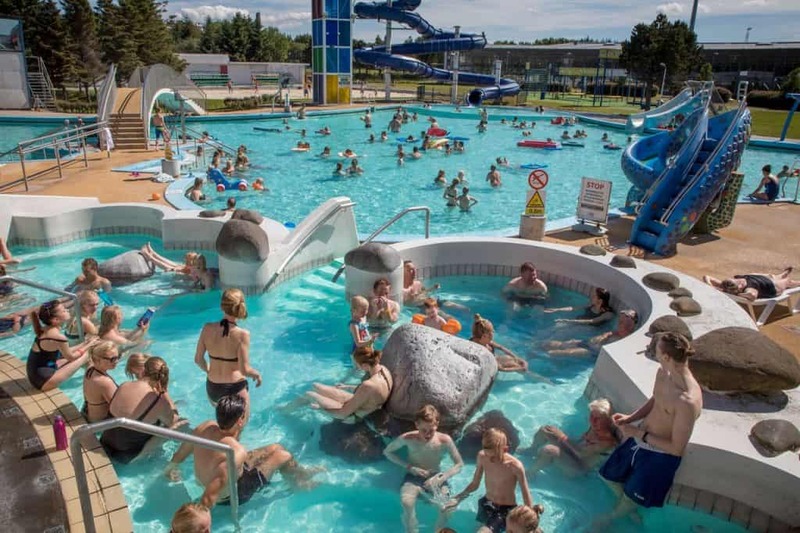 A lot of pools have saunas or steam rooms as well. This is indeed a luxury and has all be made possible by the successful harnessing of geothermally-heated water. 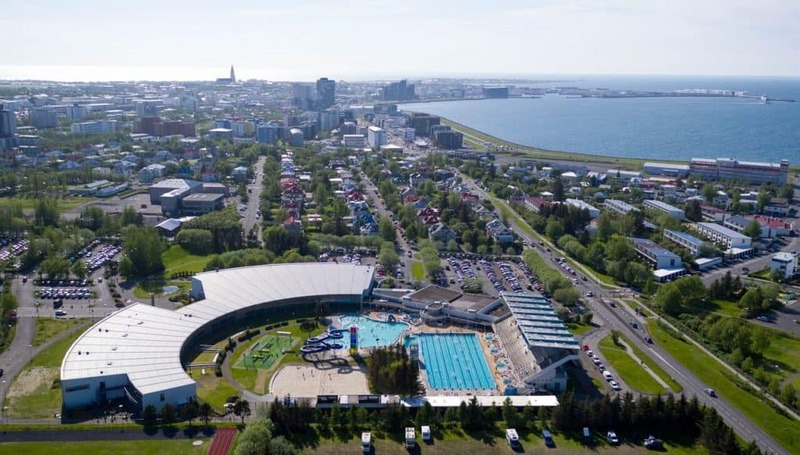 So, if you want to swim a few lengths, or just sloth in a hot tub listening to Icelandic gossip or admiring the view, a pool is never far away. 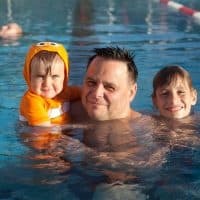 Most pools are child-friendly and will have a wading pool or a shallow pool connected to some water slides, making it possible to watch your kids (or partner) as they slide into the water. 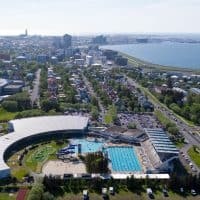 All pools in Reykjavík are open 7 days a week, but opening times might differ. 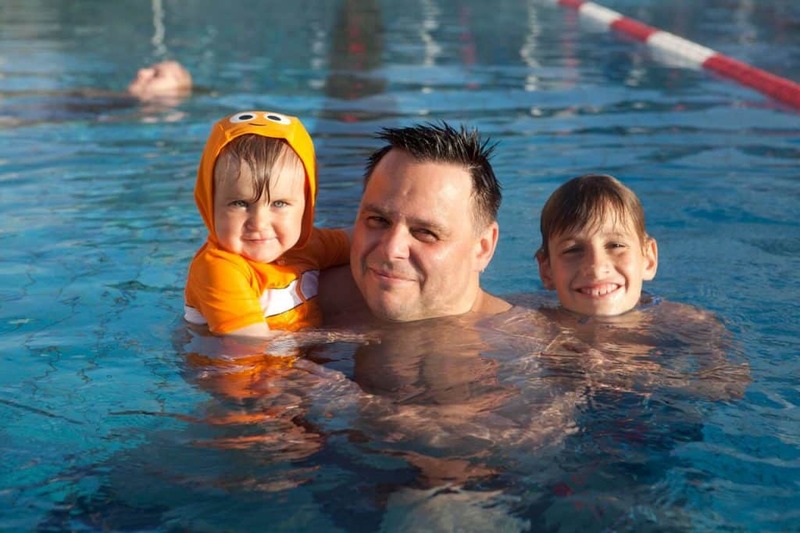 Entrance fee is reasonable and facilities vary, but the swimming pool rules remain the same wherever you go. 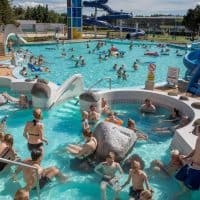 In Iceland, the swimming pools rules state that you shall shower BEFORE entering the pool and cell phones are not allowed to be used in the changing rooms. 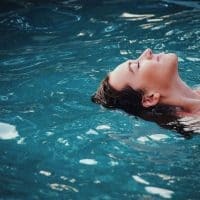 Most pools have a temperature around 29°C (84°F) and the hot tub temperatures range between 37° – 42°C (98°- 111°F). Enjoy the heat and then for the very brave, you could try cooling down in the cold water tubs which are very popular nowadays.